She fell in love with her boss, but her boss was a woman. Randy Salem again gives us an all-revealing view of what goes on in-side the strange world of Lesbianism. 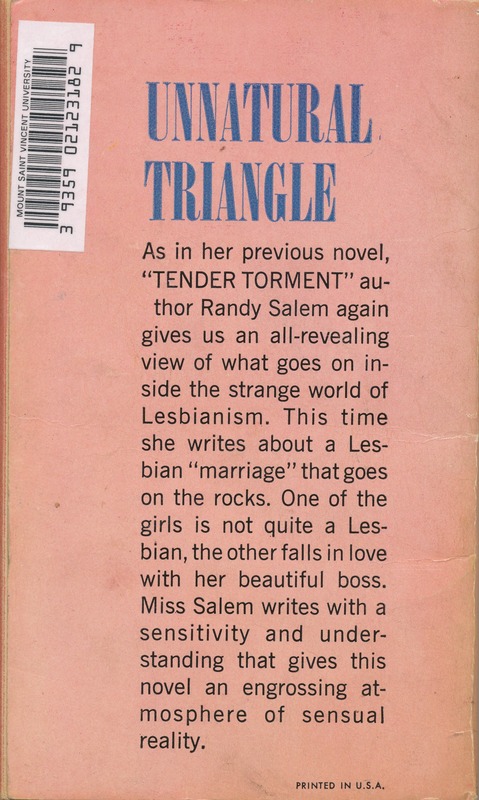 This time she writes about a Lesbian “marriage” that goes on the rocks. One of the girls is not quite a Lesbian, the other falls in love with her beautiful boss. Miss Salem writes with a sensitivity and under-standing that gives this novel an engrossing atmosphere of sensual reality.